Heart disease refers to many different diseases that can affect the health of the heart. Heart disease reduces the hearts ability to circulate blood. Heart disease is a leading cause of death in just about every industrialised country. Close to 700,000 people die of heart disease each year in the USA alone: That's about 19,000 deaths due to heart disease each and every day, or about 1 death from heart disease every 40 seconds! Heart disease accounts for between 25% to 30% of all causes of death in the USA as well. Most prevalent heart disease through American society is coronary heart disease. The remainder of this page goes on to cover each type of heart disease, and assists in understanding how each heart disease affects the heart's ability to pump blood. The essential basic to understanding the way heart disease can affect the operation of the heart. I find that it is helpful to think about the heart as a pump, both to describe the heart’s function and to describe heart disease. This seems fitting since the heart’s most important function is to pump or push blood throughout the body. Eelectricity in order to function - the neuron electrical impulses, which tells the heart to pump and when. A fuel supply, which in this case is oxygenated blood. All of the internal parts of the pump need to be in working order (the cardiac muscle and the valves). Finally, this very special pump needs to be free of corrosion (atherosclerosis, inflammation and infectious agents). When each component of the pump is functioning properly, the heart is healthy; however, as we will see, various heart diseases can occur that disrupt parts of the pump and interfere with overall heart function. Let’s start with the electrical system. The heart beats because a tiny electrical impulse starts at the top of the heart and spreads over the entire internal and external surface of the organ. It is this electrical activity that is measured on an electrocardiogram or ECG/EKG. Because cardiac muscle responds to an electrical stimulus, when the electrical impulse reaches a cardiac muscle fiber, it contracts. As you might expect, the timing of this electrical impulse needs to be very precise in order to coordinate the contraction of cardiac muscles in a specific order. You can also imagine that when this electrical system does not function properly, the pump does not function properly. Diseases of the heart’s electrical system are called cardiac arrhythmias and we will discuss some of the most common of forms. Atrial fibrillation or “A Fib” is the most common cardiac arrhythmia. In some respects this heart disease is one of the least serious in that it can be treated rather effectively. Unfortunately, if left untreated, this heart disease can be very dangerous. Atrial fibrillation is caused when the electrical signals in the atria (the two smaller heart chambers) fire abnormally. This means that the atria do not pump effectively and, subsequently, the blood in these chambers can begin to coagulate. Blood that clots or coagulates inside of the heart or blood vessels can be very dangerous and can lead to pulmonary embolism or even stroke, depending on its location. Most cases of atrial fibrillation can be treated with medications that slow down the electrical activity of the atria. If these do not work, the heart can be jolted, gently, back into its normal rhythm. If atrial fibrillation is longstanding, medicines that thin the blood may be used in order to get rid of any clot. Also, an echocardiogram may be needed in order to rule out the presence of a clot in the heart. Interestingly alcohol can irritate heart muscle and affect the electrical system, causing atrial fibrillation. The term “holiday heart” describes a case of atrial fibrillation that occurs over the holidays as a consequence of uncharacteristic alcohol intake. In certain predisposed people, drinking alcohol sets off a bout of atrial fibrillation and people end up in the hospital with the diagnosis, commonly over a holiday. Another disease that affects the electrical system of the heart is supraventricular tachycardia. While atrial fibrillation could technically be considered a supraventricular tachycardia (SVT) this illness is usually considered separately. In SVT the heart beats abnormally fast because the electrical signals are firing too rapidly. This rapid beating does not allow the heart enough time to pump the usual amount of blood with each beat. Also, SVT causes the electrical system to be unstable. In some cases, if the SVT is left untreated it could lead to a more dangerous arrhythmia. Generally SVTs only last a short while and can be treated with medications. In certain cases the heart has a structurally abnormality that underlies the arrhythmia, such as in a disease called Wolff-Parkinson-White, and can be corrected surgically. Ventricular tachycardia is a very serious heart arrhythmia that causes the large chambers of the heart to beat too quickly. When the heart is in this state, the body’s organs are not provided with enough blood. Ventricular tachycardia transitions very quickly to ventricular fibrillation, which is imminently life-threatening. In ventricular fibrillation, the heart is not pumping blood at all but rather the electrical system simply causes the heart to quiver worthlessly. In these cases the heart urgently needs an electrical jolt to drive it away from the abnormal rhythm and into normal sinus rhythm. Cardiac defibrillators are being placed in public places in some countries in an effort to rapidly correct ventricular arrhythmias should they occur outside of a hospital setting. These devices can read the patient’s heart rhythm and automatically administer a shock if necessary. All blood gets pumped through the heart at some point. Depending on whether it is going to the tissues or to the lungs, some blood is oxygenated and some is not. Despite having all of this blood flowing through it, the heart needs its own separate blood supply—completely separate from the blood that it pumps. This blood supply is furnished by a few tiny arteries called the coronaries or coronary arteries. In our analogy, these arteries can be thought of as the fuel lines for the pump and when the fuel stops, such as when the fuel lines are blocked, the pump cannot work. A myocardial infarction is the technical name for a heart attack. This occurs when blood cannot flow through one of the coronary arteries and the heart is deprived of oxygen and nutrients. Since the heart is a very active muscular organ, lack of blood flow rapidly leads to cardiac dysfunction and also to a considerable amount of pain. While a heart attack is a very rapid, acute disease, the process by which this heart disease develops is quite chronic. The most common cause of heart attack is atherosclerosis of the coronary arteries. The lumen (internal space) of an artery tends to get smaller as plaques form along its walls. Such blood vessels are in a weakened state, and when damaged, the body senses injury and deploys platelets to form a clot there. This clot can block precious blood flow to the heart, causing a heart attack. There are several treatments to prevent a heart attack from occurring. Diet and exercise are very important. 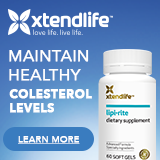 Also, keeping triglycerides and LDL cholesterol low and HDL cholesterol high will reduce the risk of heart attack. In some people, a small aspirin each day help keep coronaries healthy, as do taking antioxidants. In people with severe coronary artery disease, a balloon may be used to increase the diameter of the coronary in a procedure called angioplasty. A stent (small, metallic tube) may be used to hold open the artery. In certain cases, surgery may be required to completely circumvent the diseased artery in a procedure called a “cabbage” i.e. CABG or coronary artery bypass graft. While angina is not that same thing as a heart attack, it can be thought of as a heart disease that leads to a myocardial infarction. In many cases, angina results from too little blood making it through the coronary arteries to supply the heart. In our analogy, angina would occur if our fuel line could not supply enough fuel to the pump. Angina is usually brought on by exercise and patients will often state that they can only do so much activity before their chest begins to hurt. Just like any tissue in the body, the heart needs more oxygen and nutrients when it is called upon to perform more work. Any time we exert ourselves, our heart kicks into high gear so that it can rapidly pump blood to the muscles and organs. In angina, the coronary arteries do not provide enough oxygen-rich blood to accomplish this increased work. This results in chest pain, or angina. People with angina typically report that the symptoms go away once they rest. Not surprisingly the resolution of pain coincides with the heart’s decreased demand for oxygen and nutrients i.e. rest. Preventing angina is accomplished much the same way as preventing a heart attack, by keeping the coronary arteries healthy. Once you have angina, certain medicines can be used to dilate or hold open the coronary arteries, such as nitroglycerin. Traditionally, nitro tablets were taken by slipping one under the tongue during an episode of angina however today there are long-acting forms of nitroglycerin that can be taken at regular intervals throughout the day. These heart disease treatments do not get to the cause of the angina, but help reduce the occurrence of symptoms. Any pump needs to have good working parts and the heart is no different. In order to pump blood, each chamber of the heart needs to develop pressure at specific points in the cardiac cycle. Everyone knows that the heart makes the sound “Lub dupp,” but did you know that those sounds are caused by the valves in your heart slamming shut? The proper opening and closing of the valves assures that blood only moves forward in the circulatory system and that the heart can generate enough pressure to propel it through the body. There are four heart valves, mitral, tricuspid, pulmonary and aortic, and all of them can become diseased. Either the valve permits backward flow called regurgitation, or it impedes forward flow, called stenosis. When your doctor holds a stethoscope over your heart, one of the things she is listening for is the health of your valves. Each valve and each disease sounds different to a trained ear. Stenosis and regurgitation are caused by various things and their clinical significance depends on which valve is involved and to what degree. For example, people with severe aortic stenosis cannot deliver enough blood to the body because the heart cannot eject the blood inside of it. In cases of mitral regurgitation, forward flow of blood is not physically impeded, but as the heart generates pressure to push the blood forward, some of it flows backward into the left atrium. Heart diseases involving the heart valves are usually corrected by surgery since they are structural defects. The surgeon may choose to surgically revise the patient’s own heart valve, replace the valve with one from a cadaver or an animal such as a pig (!) or put an artificial valve in its place. Each approach has its advantages and disadvantages and should be discussed thoroughly with a heart surgeon. The heart is a pump made of muscle and if the muscle is diseased, the heart cannot function properly. Certain diseases tend to injure or affect the muscle over time thereby making the heart less effective. There are dozens of cardiomyopathies or heart diseases that affect the heart muscle but they can be grouped into three main categories, dilated, restrictive and hypertrophic. A dilated cardiomyopathy is one in which the heart ventricles (chambers) are abnormally dilated (enlarged /open) and blood cannot pump because the heart muscle is weakened in this state. The causes of dilated cardiomyopathy are many but include toxins such as cobalt, lead and mercury, certain drugs and chemotherapeutics, and certain vitamin deficiencies. People that have sustained damage to the heart from a heart attack are sometimes left with a dilated cardiomyopathy and congestive heart failure. A disease of the cardiac muscle that prevents it from contracting and relaxing normally is called a restrictive cardiomyopathy. Certain cancers, toxins and drugs can lead to this restrictive type. Also diseases that leave deposits throughout the body such as sarcoidosis, amyloidosis and hemachromatosis can lead to restrictive cardiomyopathy. The final category of cardiomyopathy is hypertrophic cardiomyopathy. In cases where the heart muscle becomes too big for its own good, it is said to have hypertrophied. The classic example of a hypertrophic cardiomyopathy occurs after longstanding high blood pressure. When someone has high blood pressure, the heart needs to generate a lot of force to push blood through the arteries. Just like a bodybuilder gets large muscles after years of lifting heavy weights, the heart muscle can get very large because of its “workout” (pushing blood against great resistance). Subsequently, the muscle hypertrophies and the heart enlarges. Unfortunately our little coronary arteries cannot adequately supply blood to this overgrown cardiac muscle and various problems occur. It is not uncommon for infants to have congenital heart malformations i.e. structural heart disease that is present at birth. Examples of congenital heart defects include Tetralogy of Fallot, transposition of the great vessels and ventral septal defects. These defects are usually not hard to diagnose because they cause rather profound symptoms in the infant (blue skin or cyanosis, for example). The structural defects almost always require surgery by a trained pediatric surgeon. Some structural defects, however, are more subtle and persist into adulthood. Fully one in four people have a patent foramen ovale or PFO making it the most common structural heart defect. A PFO is a small hole that connects the left and right atrium. Normally these two chambers are completely separate and, in fact, the blood in the left and right atrium is oxygenated and deoxygenated, respectively. Most people with a PFO live normal lives yet some develop potentially severe complications. Since blood from the two sides mixes, organs and tissues do not get fully oxygenated blood. Also, any clots that may form in the peripheral blood vessels can dislodge, travel across the PFO and go straight to the brain, causing a stroke. Again, most people do not know that they have a PFO unless symptoms occur or they have an echocardiogram for some reason. Corrosion gets everywhere and can destroy a pump if it is not prevented. To extend our analogy one more time, infections and atherosclerosis are like corrosion in the heart. Once they enter the bloodstream, certain bacterial, viral and fungal pathogens seem to thrive in and around the heart. Myocarditis is a term used to describe an infection or inflammation of the heart itself. Some common microorganisms that cause myocarditis are Staphylococcus aureus and the Coxsackie B virus. Endocarditis describes an infection of the valves of the heart. Again Staphylococcus aureus is one of the major bugs involved. Infectious agents attach themselves to the heart valve, usually to a valve that is already slightly diseased, and the microorganism begins to multiply. As the infection grows, it can permanently destroy the valve and also send large globules of microorganisms hurtling through the bloodstream. One of the primary reasons that dentists use antibiotics prior to dental procedures is to prevent endocarditis, especially if the patient has an abnormal heart valve. Finally, pericarditis is an inflammation of the tough, outer membrane that covers that heart (pericardium). A number of infectious agents can cause pericarditis but so can radiation exposure, cancers, drugs and infiltrative diseases (e.g. sarcoidosis). The pericardium only allows a certain amount of room around the heart and when the pericardium becomes inflamed, it can interfere with the pumping action of the heart. Keeping the heart healthy is like keeping a pump in good running order. As with any machine, the more parts that are involved, the more likely that the machine will break down. Preventing heart disease involves keeping all parts of the heart in tip top shape. Knowing the symptoms of stroke and heart attack, can help prevent heart disease from killing you or others. As simple as it may sound, it's true. If you know the symptoms, you can identify the problem early, and the chance of fixing the problem is so much better. When was the last time you did a first aid course? Ever done one?